Welcome to the ‘Healthcare and Social Aid Program’ Blog! This is where we post information on new, ongoing and completed cases. Our ‘Waiting for Support’ page contains examples of cases we are currently trying to assist, including information about their treatment and costs. The ‘Completed’ page shows you cases we have successfully helped and how. Get to know the stories of our amazing beneficiaries, and do not forget to donate by clicking the ‘Donate’ button. Remember, 100% of donations to HandSAP go directly to the treatments our beneficiaries require. For more information check our main page or e-mail us at handsap@step-in-project.org. Rawa and Taeeba are two sisters from Salahaddin living in Erbil. Both were diagnosed with renal failure and have undergone renal transplants in the last couple of years. They now need chronic medication to protect and maintain their kidney function. 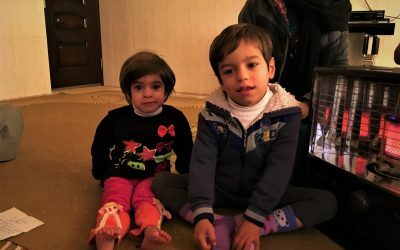 Zahraa and Ahmed are two adorable siblings from Mosul. Their family left the city when ISIS took is at their stronghold. Now living in Erbil, the children need specialist treatment for a suspected growth hormone deficiency and speech delay, respectively. 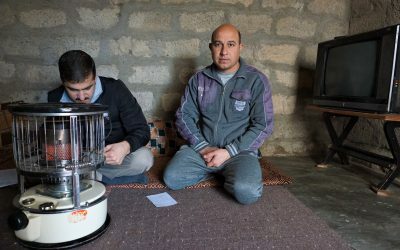 Khero and his family live in a small room outside Sharya village. Their home is isolated and the family has no source of income. Khero needs a hip replacement to overcome his debilitating condition. Doing so would allow him to look for work and provide for his family.